When I was pregnant, my best friends were clothes that felt supportive, felt appropriate (things change when your cups runneth over), and most importantly: not see-through. 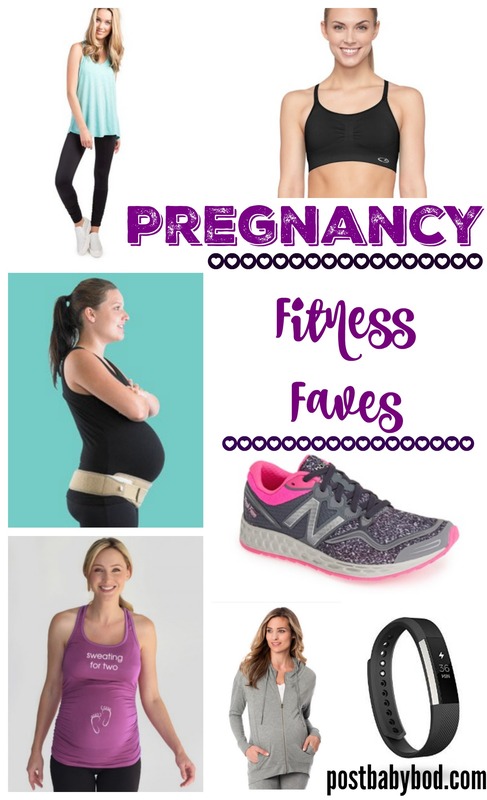 I tried out a lot of different brands and gear while I was pregnant, and narrowed it down to a few tried and true favorites. Here they are! A neutral athletic maternity jacket. All you need is one that fits well, and makes you feel good, so you can easily layer it over workout clothes to and from the gym. Supportive sneakers in your current size. My feet grew during both pregnancies, so I often had to go up a 1/2 a size or so. The Fresh Foam Zantes are my current favorite for everything, whether I’m walking, running, strength training or taking a class. As you many notice, a heart rate monitor isn’t pictured above. I used it for a little while during my first pregnancy, but realized that my heart rate was elevated (as many women may experience, since the heart has to work harder to pump blood throughout the body and also increases output). I also learned that the old recommendation of maintaining a heart rate below 140 bmp was outdated. Many doctors and midwives will now say to continue whatever you’ve been doing, and make sure to avoid overheating. I also recommend the talk test. Make sure you can say a complete sentence during your workout, otherwise you could be working too hard. I’d talk to your doctor and make sure you know what they recommend for you! Instead of a heart rate monitor, I liked using a Fitbit to track my steps and encourage me to be more active in general.